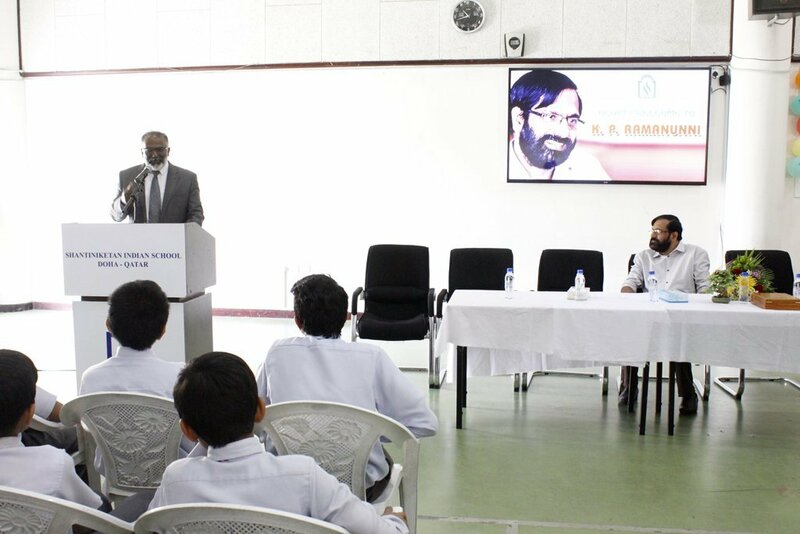 The well known Malayalam novelist and short story writer K.P Ramanunni was felicitated at Shantiniketan Indian School. 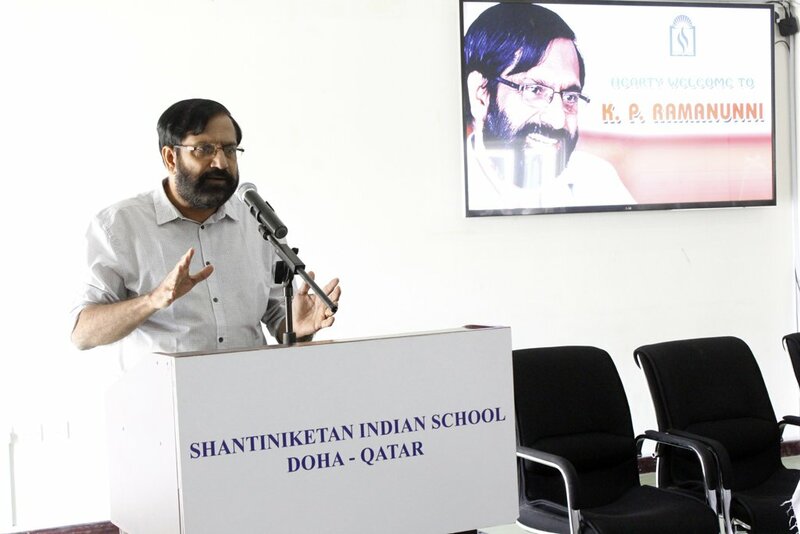 In his key note address he stressed the need of nurturing and protecting our mother tongue Malayalam. 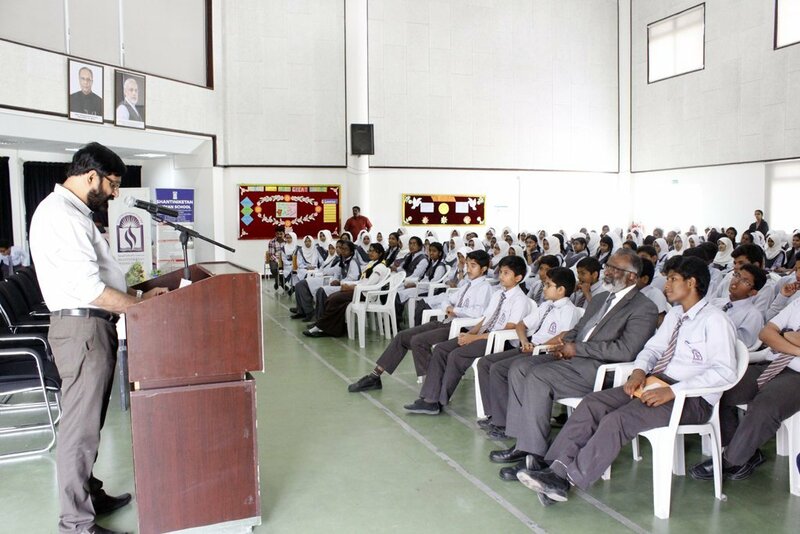 Then he had a creative interaction with the students. 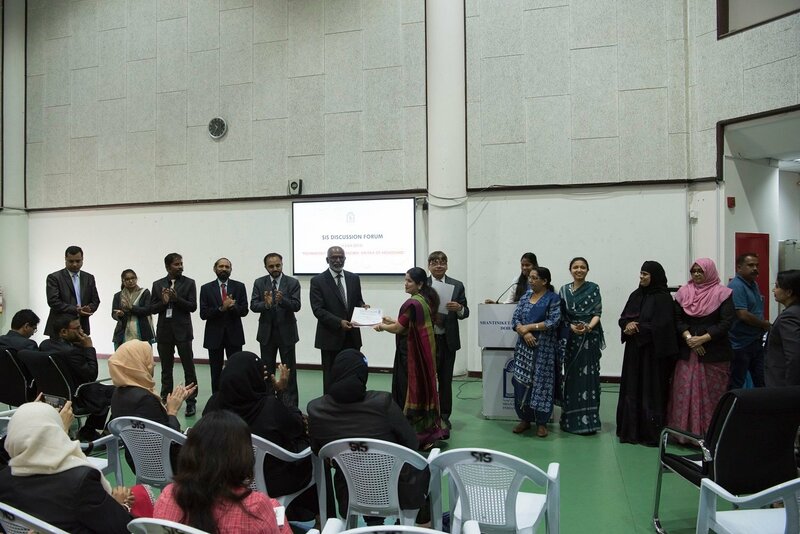 The principal, Dr. Subhash Nair presided over the meeting which is organised by the department of Malayalam and presented the memento to the chief guest. 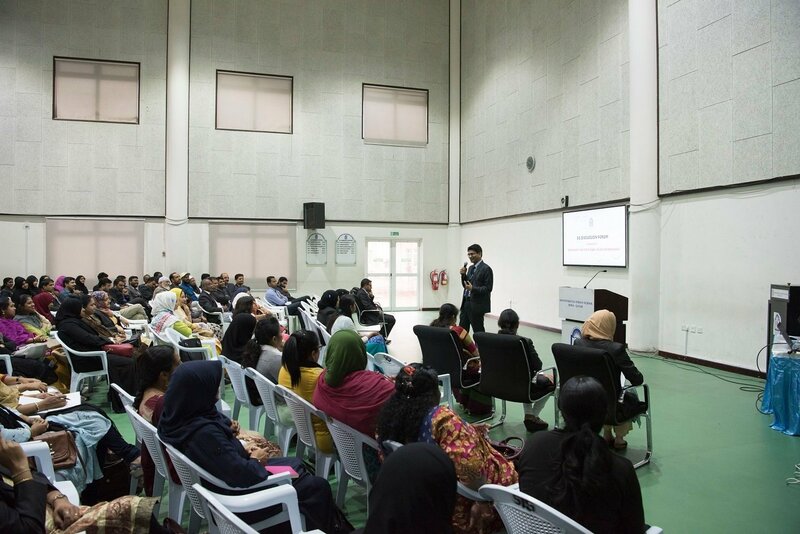 Nishant. 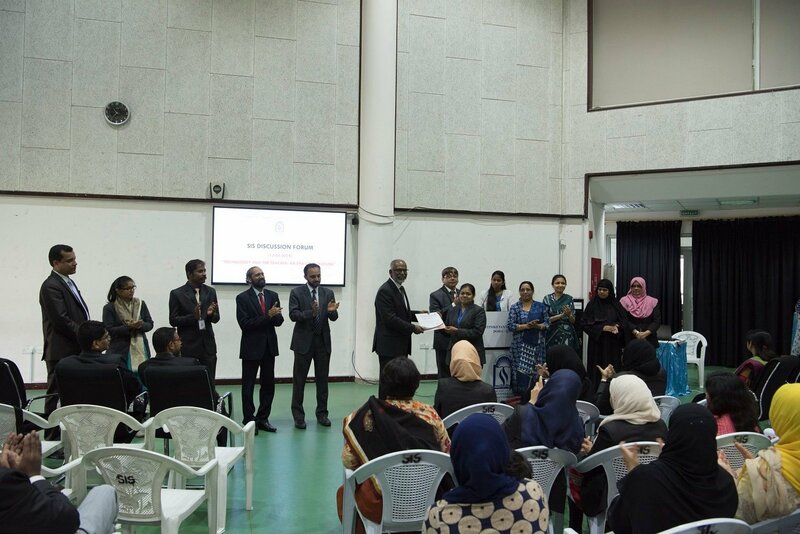 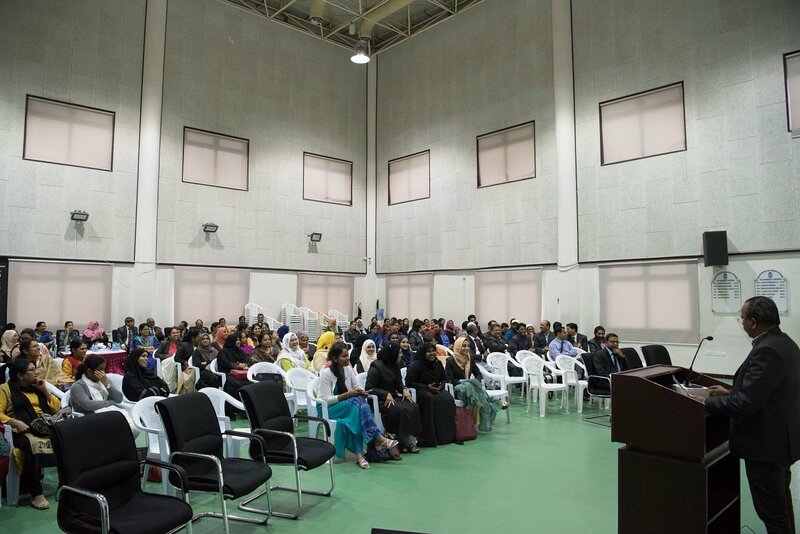 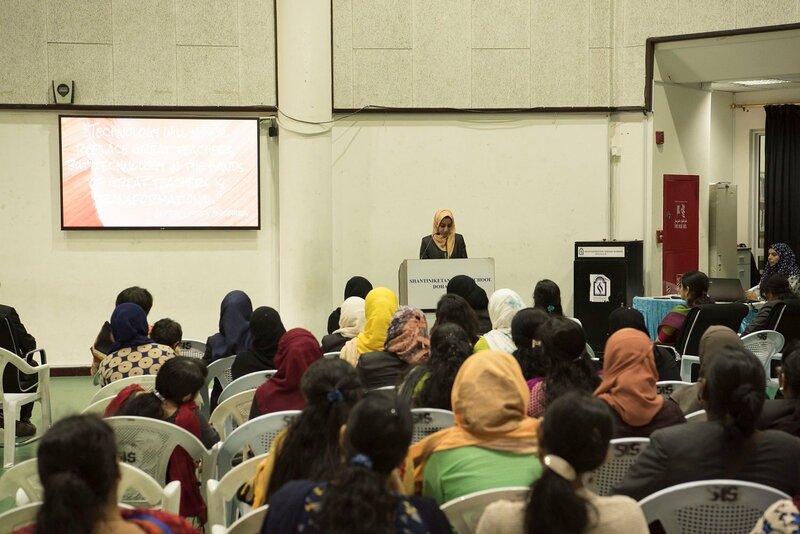 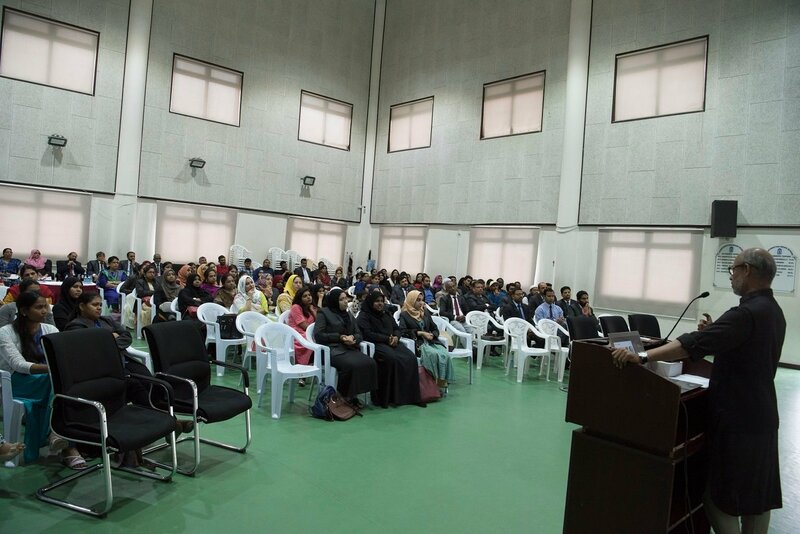 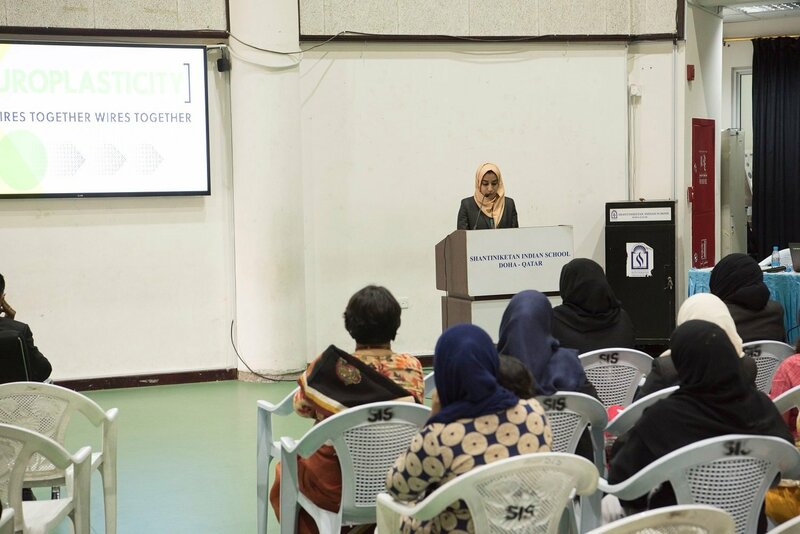 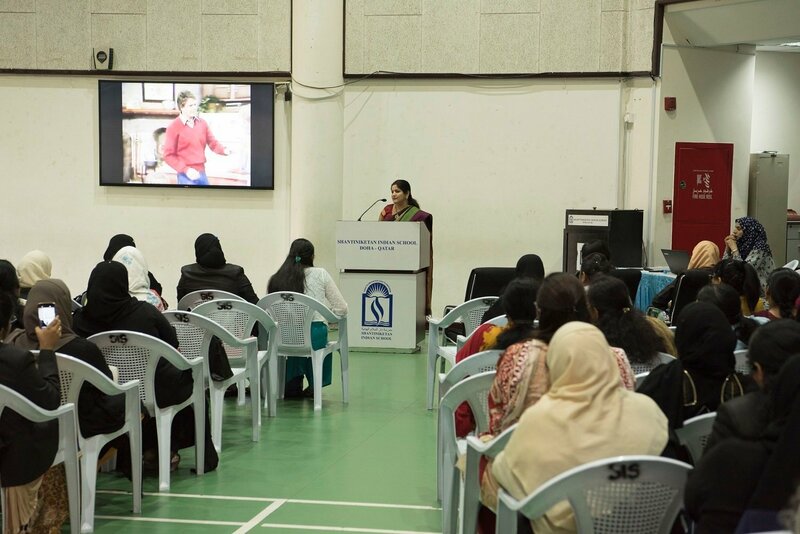 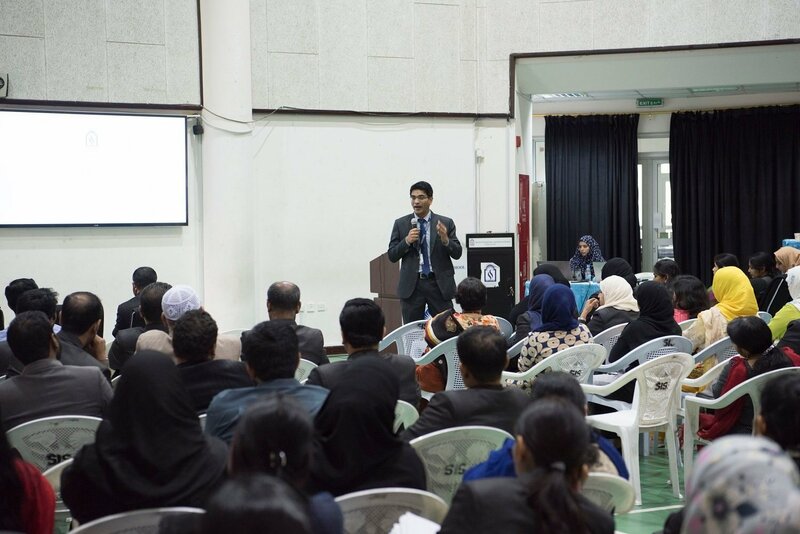 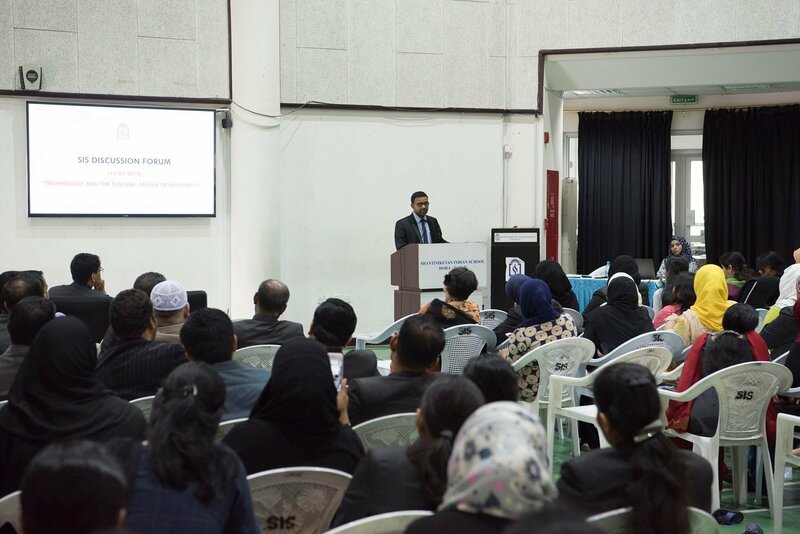 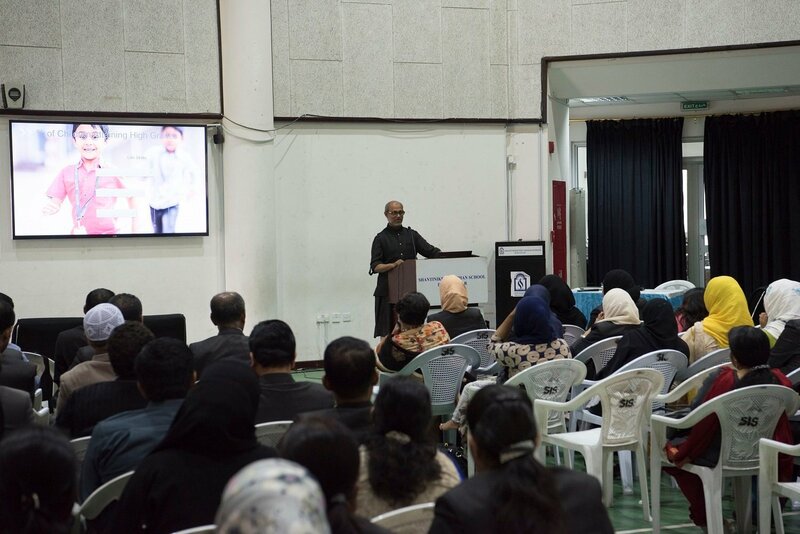 P.M, the teacher for Malayalam welcomed the gathering and Arifa N.K, the student representative gave vote of thanks.Vice Principal Mr. Shihabudheen Pullath, Admin. 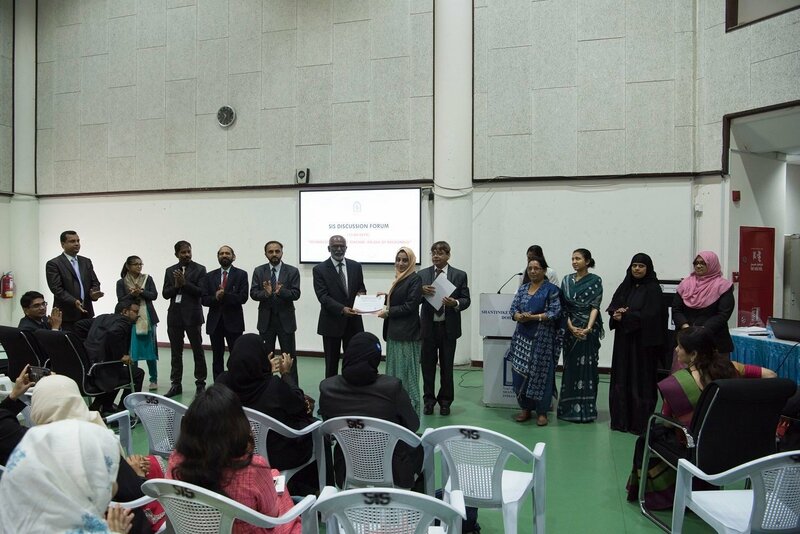 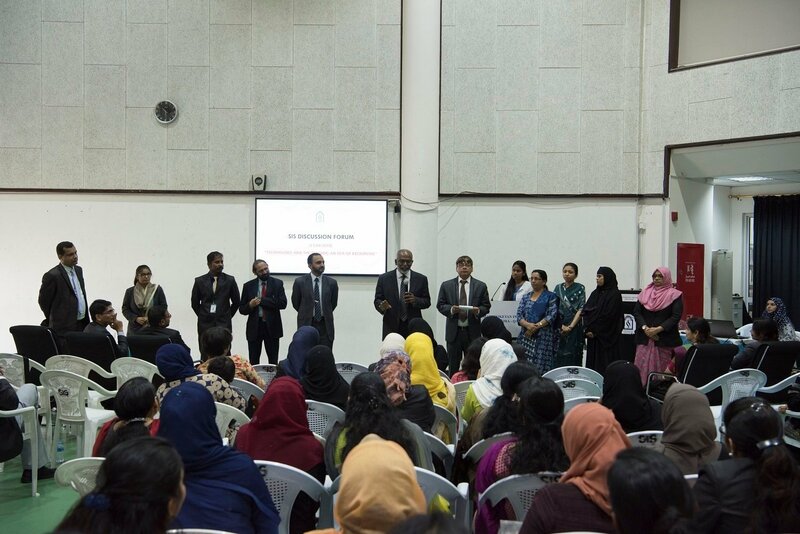 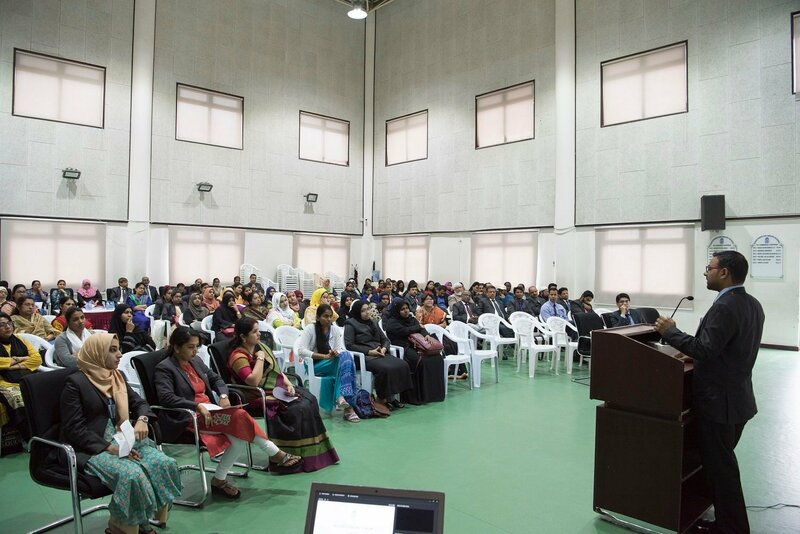 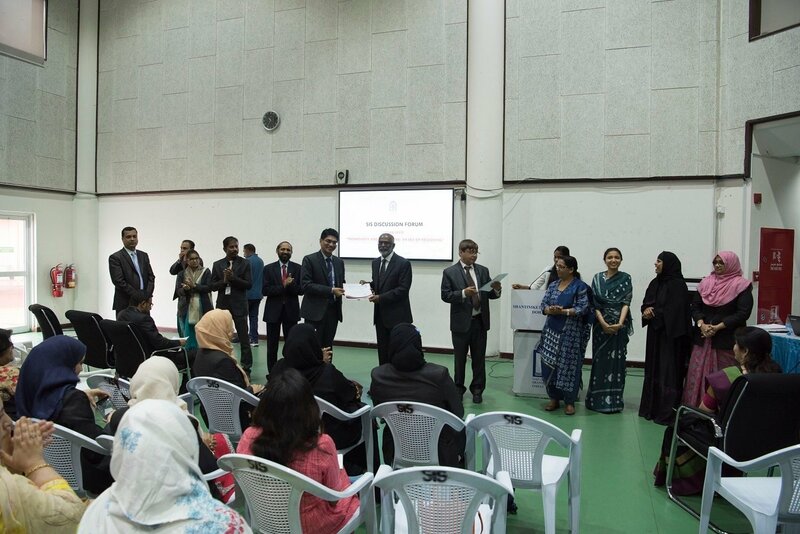 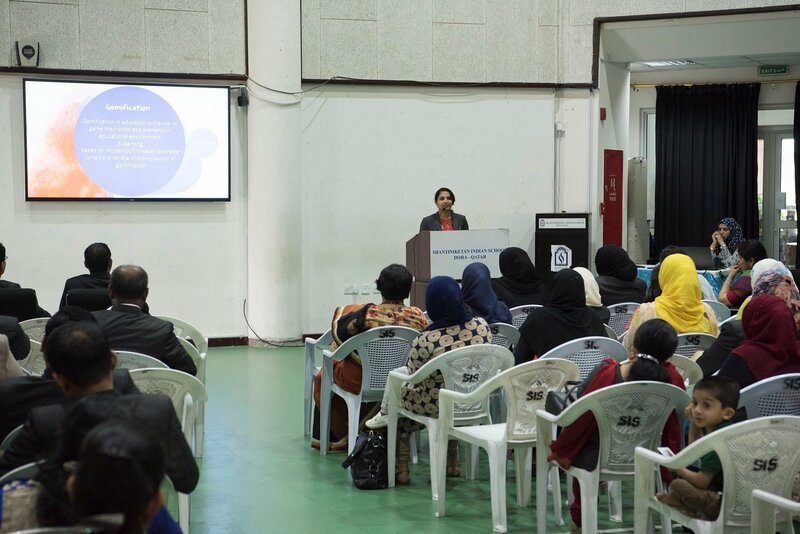 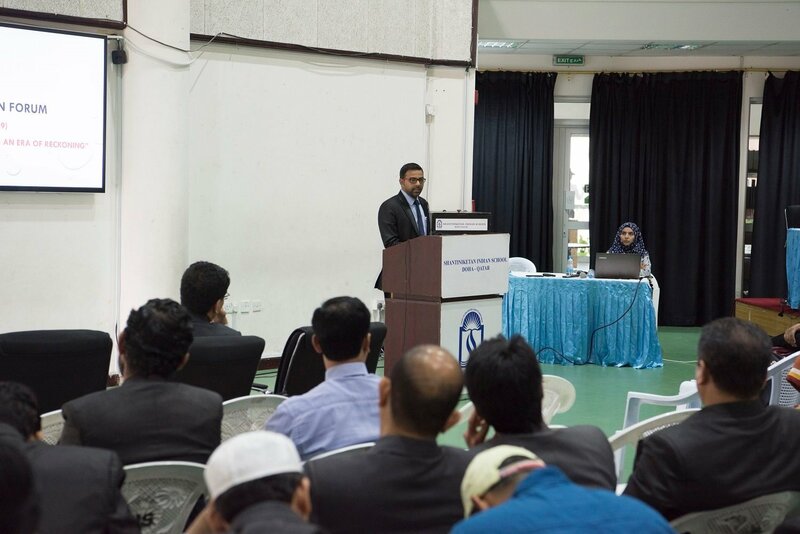 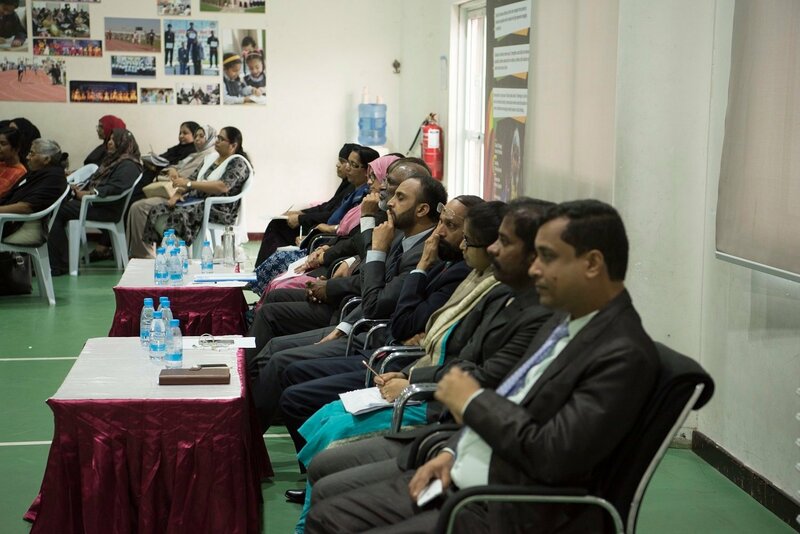 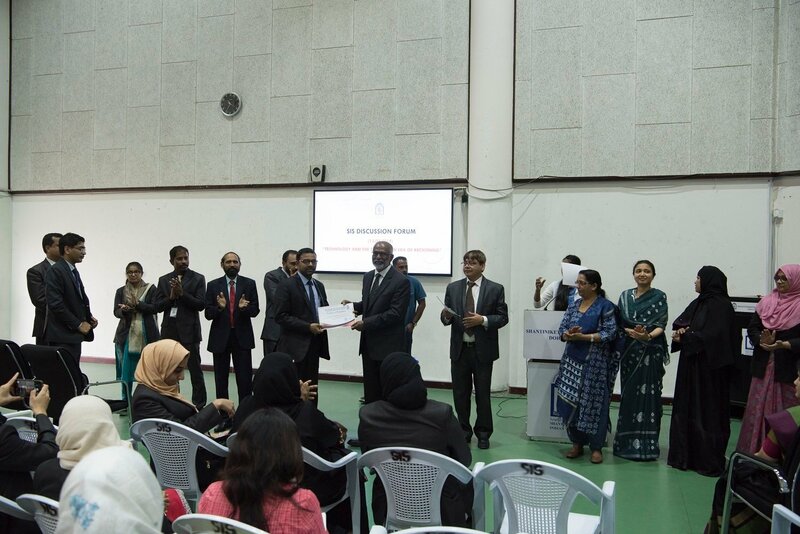 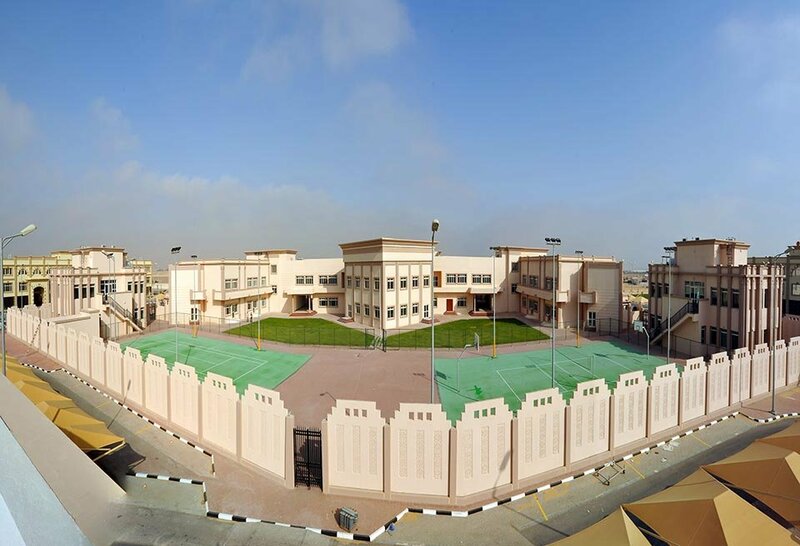 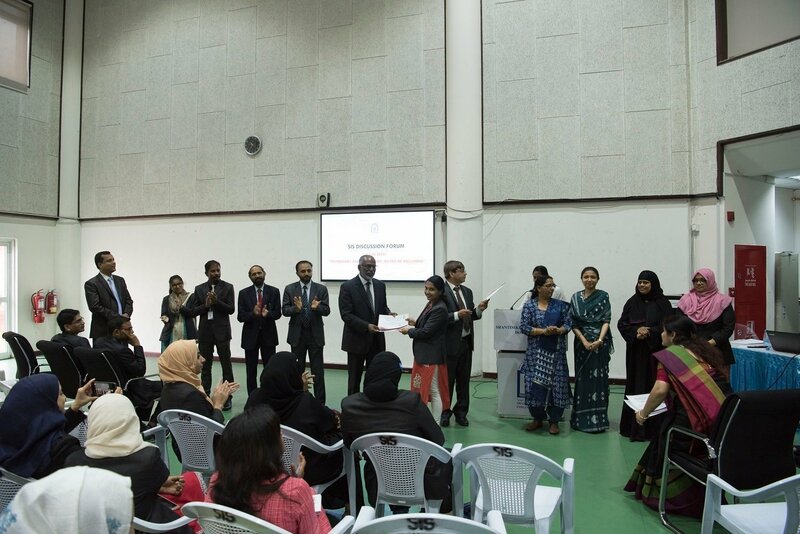 Officer Mr.Faisal, teaching faculties Mr. Jamal, Mrs. Nimisha and Mrs Lini Varghese blessed the occasion with their presence.